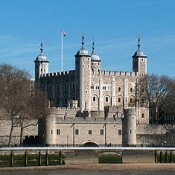 The Tower of London is one of London's most famous landmarks - especially since it became the destination of choice for state prisoners. But what else do you know about the oldest Royal Residence in England? Five questions about the Netherlands to mark the occasion of Queen Beatrix's last Koninginnedag (Queen's Day) and the investiture of her son as King Willem-Alexander on 30 April 2013.